A new Thai spot has opened up shop in the neighborhood. Located at 1078 E. Brokaw Rd. in North Valley, the fresh addition is called Chick'n Rice. 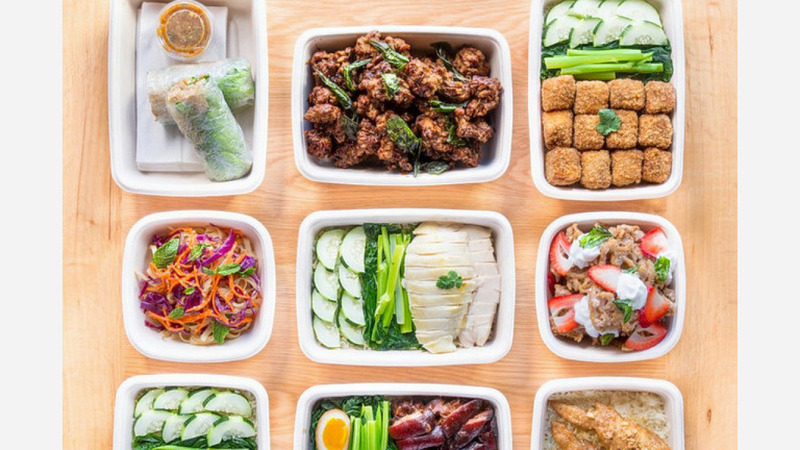 This newcomer--which has another location at 2136 Center Street in Berkeley--specializes in Thai-style street food and more. On the menu, look for dishes like khao mun gai, poached chicken breast with chicken-flavored rice, cucumbers, cilantro and a side of chicken broth soup, as well as khao kha moo, braised pork with egg and greens served with jasmine rice. The new addition has gotten an enthusiastic response thus far, with a five-star rating out of four reviews on Yelp. Cary I., who was among the first Yelpers to review the new spot on March 11th, said, "Had the pleasure of taste testing for this establishment yesterday. Had a few different dishes and gave them some feedback. The dishes are all very simple and simply delicious." And Jared G. said, "Walked by while they were doing training and they invited us in for some free food. The food was great! I had a pork dish with salted eggs and a side of broth. They even gave us some of their Thai tea to drink." Interested? Stop by to welcome the new business to the neighborhood. Chick'n Rice is open daily from 10:30am-9:30pm.